PCCW Global is one of the world’s leading communication service providers, with a presence in major UK cities and high-speed links to Europe, the US and Asia. As a group, we believe in providing a technically advanced solution that can deliver today’s top speeds, but also be easily upgraded for tomorrow’s. In the UK, we are a leader in supplying Connected Building Solutions to large multi-tenanted properties. Our range of managed services includes Optify full fibre and wireless broadband for homes and businesses as well as smart building technology which can reduce costs, environmental impact and improve security and compliance. 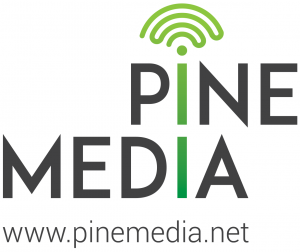 Pine Media builds and provides service over our own optical (FTTP) network across Sheffield, Manchester & Leeds. Our Fixed Wireless Network Extends This Coverage Further To Surrounding Areas. Point Topic exists to provide the best broadband market intelligence for our customers to make the best decisions possible. Post Office offers great value broadband which comes with Home Phone. We offer fast reliable broadband and line rental throughout the U.K. Unlike other ISP's we don’t sign you up to long term contracts preferring to keep our customers happy rather than forcing them to stay. Broadband and Line Rental bundles start from £25inc. Our ICT solutions are designed to help address the latest educational challenges in an ever-changing landscape, from cloud-based school management solutions to helping create a complete solution to becoming an academy.